For someone who very rarely styles her hair, always leaves it natural and only applies oils to it, I have no idea how I've got a basket full to the brim of hair styling products. I probably only use four of the products which are all hair oils so I've decided to have a bit of a sort out. I've sorted them into four categories : products I use, products I want to use more to see if I want to keep them, products I haven't used yet and products I don't want. Hopefully over the next month or so my hair care stash will consist of products that I know I will use! I'd also like to finish a few of the products I'm not sure about or either give them away to someone who will use them. And finally I'd like to at least try all the products once. 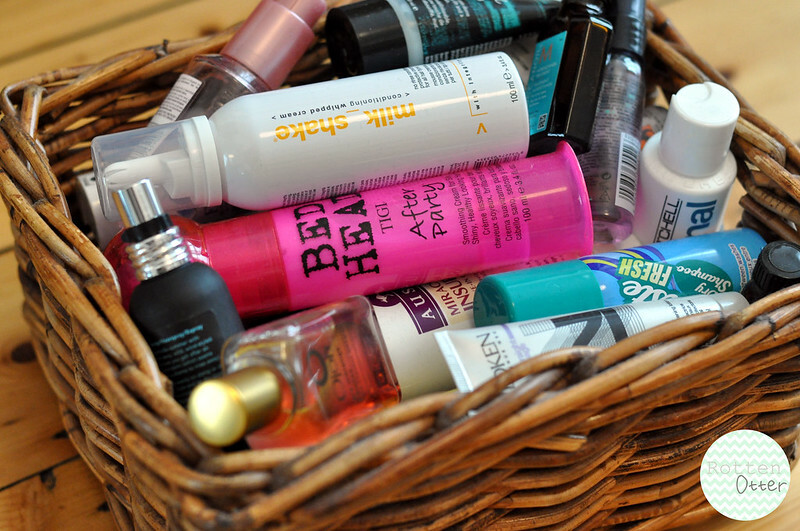 I go through my hair bits and cosmetics all the time, it is the only way to keep them streamlined! I would love having a rummage through your bits in there, I have wanted to try the foaming cleanser for a while now! Another great post! I have far too many haircare items, but whenever I get near the trash, I always remind my self of those 'what-if' situations, and keep them all! This is a good idea. I did this during the last few weeks of 2012. But I should have weeded out more. I'm curious to see what you end up with. I literally just had a sort out today! It's nice to start a fresh isn't it? So many hair stuff, I'm terrible at looking after my hair!